Although the balance of power in the battle for the championship remains with Nico Rosberg, Lewis Hamilton has so far done everything he can to increase his chances of grabbing it back. 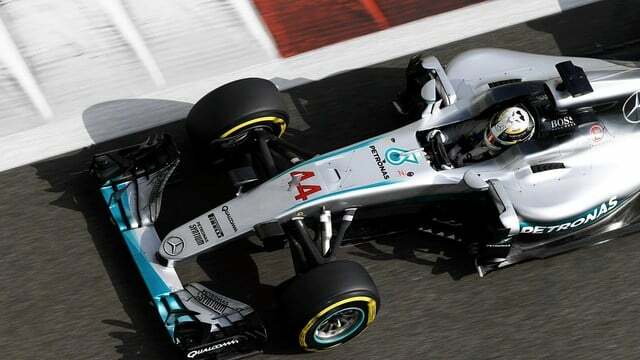 The Mercedes driver scored pole position for the season finale race in Abu Dhabi, beating teammate and rival Rosberg to the top spot. Behind them, the fight between Ferrari and Red Bull endured, with Daniel Ricciardo and Kimi Räikkönen locking out the second row. Max Verstappen was disappointed in his work to end up in sixth place. Meanwhile, Toro Rosso endured another difficult session after punctures and a lack of running during practice. Both drivers dropped out in Q1, which helped Pascal Wehrlein haul his Manor into the second qualifying session. Jenson Button qualified 12th for his final F1 race, whilst teammate Fernando Alonso just managed to get into the top ten. Felipe Massa, also embarking on his final race in Formula One, also qualified within the top ten.